Or, get it for 26800 Kobo Super Points! The high-yield leveraged bond and loan market (“junk bonds”) is now valued at $3+ trillion in North America, €1 trillion in Europe, and another $1 trillion in emerging markets. What’s more, based on the maturity schedules of current debt, it’s poised for massive growth. To successfully issue, evaluate, and invest in high-yield debt, however, financial professionals need credit and bond analysis skills specific to these instruments. 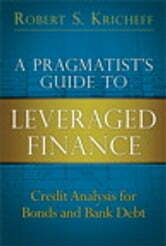 Now, for the first time, there’s a complete, practical, and expert tutorial and workbook covering all facets of modern leveraged finance analysis. 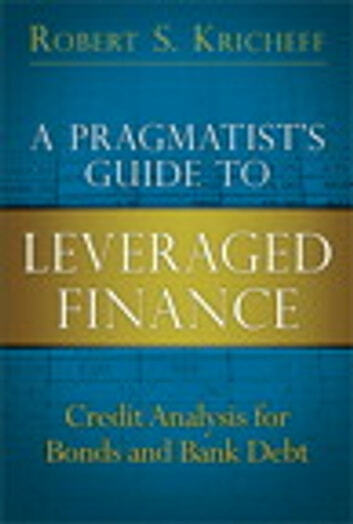 InA Pragmatist’s Guide to Leveraged Finance, Credit Suisse managing director Bob Kricheff explains why conventional analysis techniques are inadequate for leveraged instruments, clearly defines the unique challenges sellers and buyers face, walks step-by-step through deriving essential data for pricing and decision-making, and demonstrates how to apply it. Using practical examples, sample documents, Excel worksheets, and graphs, Kricheff covers all this, and much more: yields, spreads, and total return; ratio analysis of liquidity and asset value; business trend analysis; modeling and scenarios; potential interest rate impacts; evaluating and potentially escaping leveraged finance covenants; how to assess equity (and why it matters); investing on news and events; early stage credit; and creating accurate credit snapshots. This book is an indispensable resource for all investment and underwriting professionals, money managers, consultants, accountants, advisors, and lawyers working in leveraged finance. In fact, it teaches credit analysis skills that will be valuable in analyzing a wide variety of higher-risk investments, including growth stocks.